It has been asked many times, is he fake or is he for real? Well whatever tricks a magician does are just that, magic tricks and of course fake. Because what Dynamo does at times borders upon the supernatural, it naturally becomes questionable and open for discussion. How many times have we all heard the phrase after witnessing a magic trick, “How does he do that”? Well whenever Dynamo performs, the question really goes deeper, thus setting up people with enquiring minds to search for a logical explanation of how something was done. If I see something that puzzles me yet entertains me, I‘m happy to have just been entertained. In this fast moving technology age there are more demands on how to make entertainment more entertaining. Just look at how far movies have come in recent years with special effects and camera editing and digitalisation. It is the same with magicians, there are demands to create even more stimulating magic tricks for our audiences while retaining the basics of our craft. 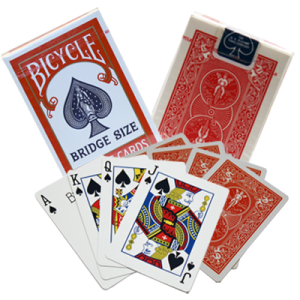 Whether it is the huge illusions of David Copperfield on stage, or the more intimate mini illusions of Dynamo in the street, they have become more intellectually entertaining. It is said by some that Dynamo uses confederates or stooges, well hundreds of other magicians over the years have as well. Most big time magicians have a whole entourage of helpers or unseen assistants working behind the scenes. It is also possible these days to do amazing things with television or movie cameras back in the editing and cutting room, even to recreating clever digital effects. Just look what is done with cartoons and T V ads! The end result is really just another magic trick or illusion. As magicians we are obliged to continue to create and design new formats to keep magic in the forefront of viable entertainment. I think we can learn a lesson from magicians like Dynamo in that he has developed a natural flair for clever sleight of hand, a prerequisite for all magicians, then adapting their magic by utilizing modern technology to enhance their magic tricks and take them to the next level. I see nothing wrong with using these methods, as long as they entertain us, which is what magic is all about. 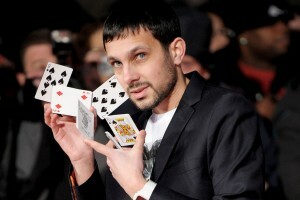 Perhaps it is too early for Dynamo to go down into the pages of the history of magic, but I’m quite confident that when the time comes he will certainly have a good contribution to make; His lessons will encourage other aspiring performers to follow him and in turn develop their own methods to amaze and mystify their audiences. 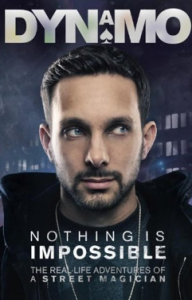 While Dynamo may not have the same charisma or personality that other great performers have, he never the less has his own style and presentation with very obvious appeal. However being of the older generation, I much prefer a more theatrical performing persona. Dynamo like many others brings a refreshing change to street magic and in so doing should encourage others to follow in his footsteps. We are privileged to live in an era to be able to appreciate the magic of Dynamo.